You might be surprised to know the world’s biggest killer. It’s not heart disease… Or cancer… Or malaria. A new study in the journal The Lancet finds that pollution causes an estimated 9 million premature deaths a year. That’s 15 times more than all wars and terrorism combined. It’s three times more than malaria, AIDS, and tuberculosis combined. Pollution now causes one in every six deaths worldwide. Pollution comes in three basic forms: Air, water, and soil. Air pollution is by far the most deadly. Here are ways to protect yourself from all three. In the U.S., we are threatened less by smoke-belching factories and car exhaust than by pollution inside our homes and workplaces. Indoor air pollution in our country is two to five times worse than outdoor pollution, according to the Environmental Protection Agency. And the average American spends 87% of their time inside buildings. This makes indoor air quality a crucial health factor. Your best defense is an air purifier. They can reduce indoor air pollution by 82%. The most convenient way to clean indoor air is to add a HEPA (high efficiency particulate air) filter system to your furnace and/or air conditioning system. You can also buy stand-alone filters, which are less costly than whole-house systems. Here’s a guide to help you chose the best air purifier. Aloe Vera.This plant can help rid your home of formaldehyde, a carcinogen released by new furniture and flooring. (You can also use it to treat sunburns). Areca Palm.An air-cleaning superstar. It removes almost all indoor air toxins. Lady Palm. A great overall air detoxifier. It has been shown to be especially powerful in ridding your home of cancer-causing chemicals. Rubber Plant. This easy-to-grow plant gets rid of formaldehyde. Corn Plant. Also known as dracaena. If you have a smoker in the house, this is the plant for you. It clears cigarette smoke carcinogens such as benzene. Dwarf Date Palm. It helps remove xylene, which is found in paints, solvents, and adhesives. Chrysanthemums. These beauties are great for cutting levels of formaldehyde, benzene, and ammonia. Spider Plant. 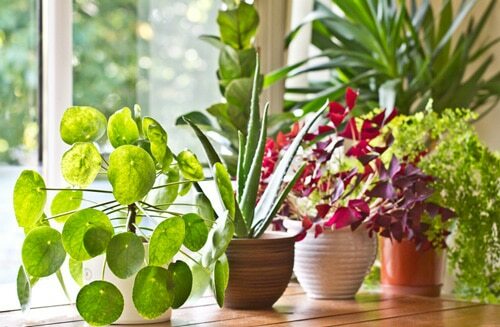 Easy to grow and maintain, this plant helps eliminate carbon monoxide. Peace Lily. It lowers levels of acetone, benzene, and formaldehyde. Warning: Don’t introduce this to your house if you have cats or dogs. It is toxic to them. The lead contamination crisis in Flint, Michigan, made big headlines. But Flint is far from the only American city with a problem. Drinking bottled water does not protect you. It usually comes from municipal water supplies. There’s no guarantee it won’t be just as contaminated as tap water. The best way to protect yourself and your family is to filter your water. The least expensive option is a carbon filter that fits atop a pitcher. It will remove some—but not all—pollutants. The most effective filter combines carbon filtration with reverse osmosis. These systems fit under the sink. They remove most contaminants and cost around $200. Land pollution affects us most in the food we eat. Over the years, farm soil has become impregnated with pesticides, herbicides, and fungicides. The best way to protect yourself is to eat organic meats and produce. When you do eat non-organic fruits and vegetables, be sure to wash them thoroughly. That means doing more than giving them a quick rinse. Instead, soak them in a sink or bowl of water for about 10 minutes with a tablespoon of baking soda. Then rinse under running water while rubbing the outside of the produce with your hands. Editor’s Note: It’s clear you can’t rely on the government to protect you from pollution and the cancer it causes. In fact, they are making it worse. We’ve uncovered one of the most shocking conspiracies of all time… A scheme to suppress a stunningly effective treatment for cancer…and keep it hidden from the patients who desperately need it. I am happy if you could send the natural healing which u suggest. thanks.